Many of the cocktails that we’ll be trying through the course of our year long adventure have fascinating back stories. This one does not and is mainly remarkable for one of its ingredients, Amaro Cora*. This Italian bitter is hard to come by, but well worth the effort. When tasting it neat, you get light herb with a delicious, sweet dried apple flavor. It is vastly different from any other bitters (Angostura, Peychaud, etc.) that I’ve ever tasted. So, on to the drink itself. 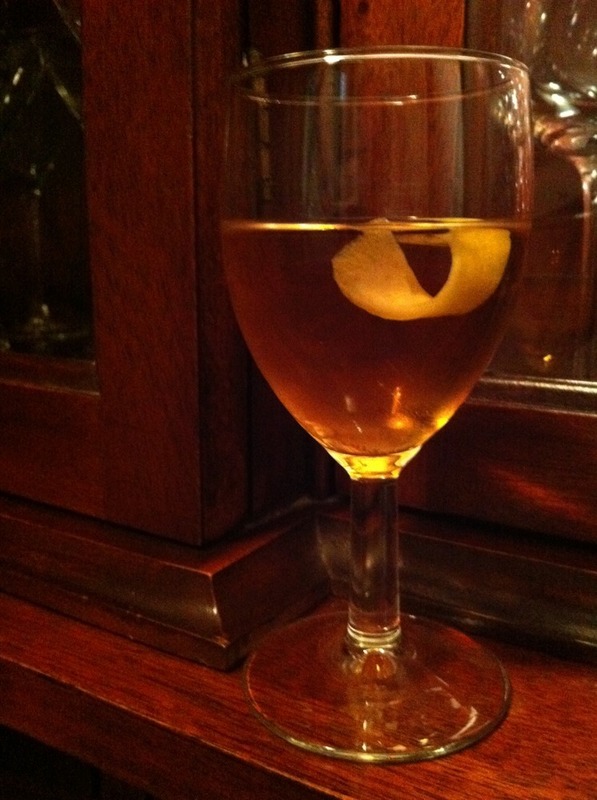 Like The Avenue, The Amarosa is originally from Cafe Royal Cocktail Book and is rather simple to make. It only requires three ingredients: gin, kirschwasser, and the elusive Amaro Cora. The trick is determining the best proportions for your taste profile. The original recipe in the Cafe Royal varies widely from the version preferred by Ted Haigh in Vintage Spirits and Forgotten Cocktails. So, we tried them both. Since our project is based on Ted’s book, I started with his version. His tasting notes indicate that he found the equal portions to provide a harmonious drink which he found “was just right.” However, when I tried this version, I found it harsh with the kirschwasser+ completely taking over the drink. He also indicated that he thought the original recipe to be too sweet to which I heartily disagree. The original has a silkiness to it with hints of apple, cherry, and juniper berry coming and going as the drink is consumed. 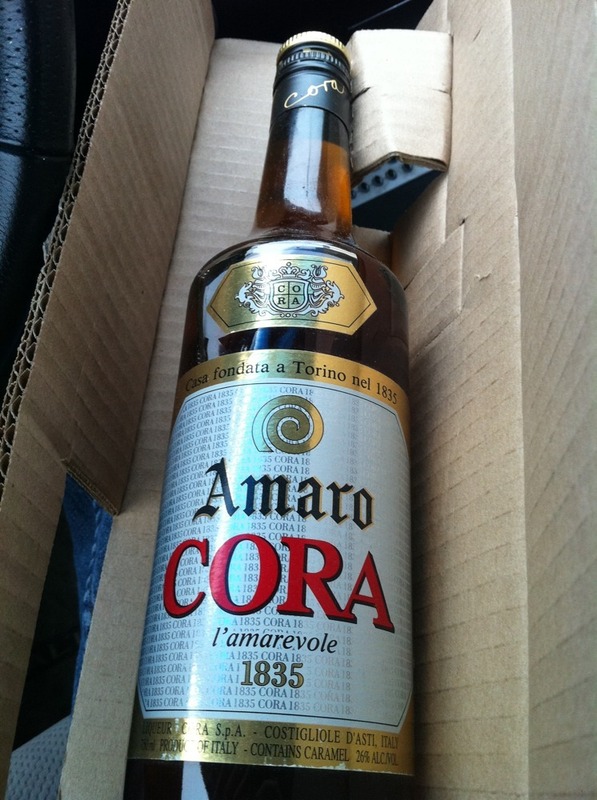 * We obtained our Amaro Cora through Sutton Wine in New York. However, we found several other providers available through Google. + Mr. Haigh doesn’t indicate which brand he used for his taste tests, so it’s possible our variant opinions are based on a different brand of kirschwasser (we used Hiram Walker).